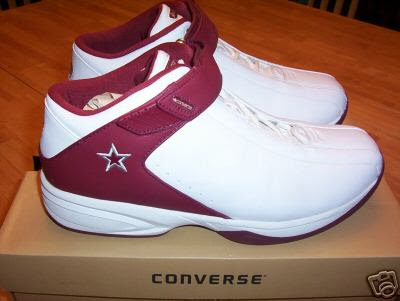 The Converse Mesmerize was the team shoe for the 2003-04 season. 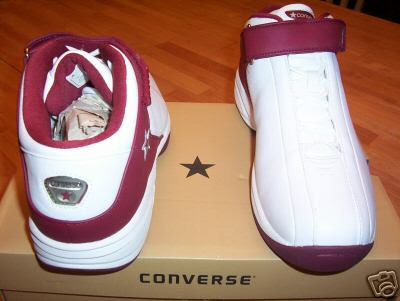 Dwyane Wade and Chris Bosh both wore this shoe early in their rookie seasons. You can still find photos of Chris Bosh in his rookie photos wearing the black/black colorway. 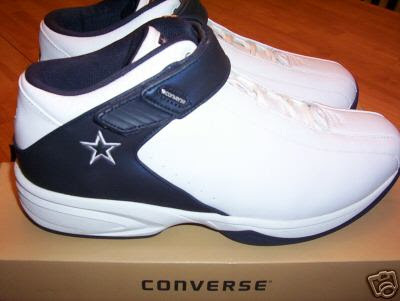 As you can see this shoe hand an ankle strap and it also featured the simple Star logo. You can't tell from these photos but the silver logo tab on the heel could hold number cards to personalize for each player on the team. 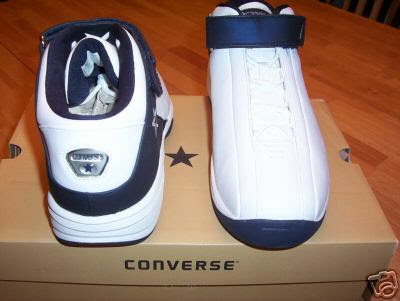 This would be the second straight team shoe to feature this personalization touch, but the other team shoe had Helium technology while these had no cushioning technology. It's been a long week of the Progressive Era in one class and building towards the war of 1812 in the other two classes. So it should come as no surprise that I am so glad it's Friday haha. Anyway, have a great weekend, thanks for checking out the blog.